For the country’s top hotels and resorts, local community outreach is a no-brainer, and education is seen as one of the most effective methods toward lasting change. It’s blessed with some of the world’s most incredible beauty and phenomenal luxury accommodations. But there are more reasons the African continent’s most multiethnic country should be on your bucket list. You can do good while you experience everything amazing—from gorgeous hotels to breathtaking safaris to wine country and the hip city of Cape Town. South Africa is also undeniably a complicated and still-forming nation, leaving a wide swath of its populace to still face crippling poverty and a serious lack of opportunity. For the country’s top hotels and resorts, local community outreach is a no-brainer, and education is seen as one of the most effective methods toward lasting change. “In South Africa it’s important for all businesses to have a link to social responsibility,” says Martine Schaffer, CEO of the Click Foundation, formed in 2011 by the owners of Cape Town’s extraordinary Ellerman House, Paul Harris and family. Using the latest technology and innovative approaches, the Click Foundation aims to reach in-need kids directly and locally, in ways that can ideally then be scaled nationally to help more children. Since its launch, the Click Foundation’s main educational tool has been the Australian-innovated Reading Eggs program, an online application that teaches reading skills to kids through a series of fun and lively interactive lessons. It is our most important initiative, because no schooling can take place if a learner is unable to read. About 30 miles east of Cape Town just outside of Stellenbosch, another of South Africa’s most elegant properties, the Delaire Graff Estate, takes a more localized approach to its community outreach. In 2008 owner Laurence Graff (also the chairman of Graff Diamonds) launched the FACET Foundation, which works with local aid organization Pebbles Project to provide assistance to children and families living in the winelands farming communities of the Western Cape. In partnership with Pebbles Project, last year FACET launched two mobile learning centers – one a book borrowing library, the other a computer lab fitted with laptops – and has green-lighted three more vehicles. “By enabling children to access information online, they not only have the facilities to complete their school assignments, but their opportunities for educational growth have increased significantly,” says Mackay-Davidson. “The books meanwhile encourage children to practice their reading skills at home, inspiring creativity and imagination. By developing these skill sets, the children have the confidence and capabilities to progress to further education.” The vehicles currently visit 11 farms in the Western Cape Winelands region, benefitting more than 1,200 children and adults. It’s something that would greatly please the country’s post-apartheid founding father, Nelson Mandela, who famously called education “the most powerful weapon which you can use to change the world." 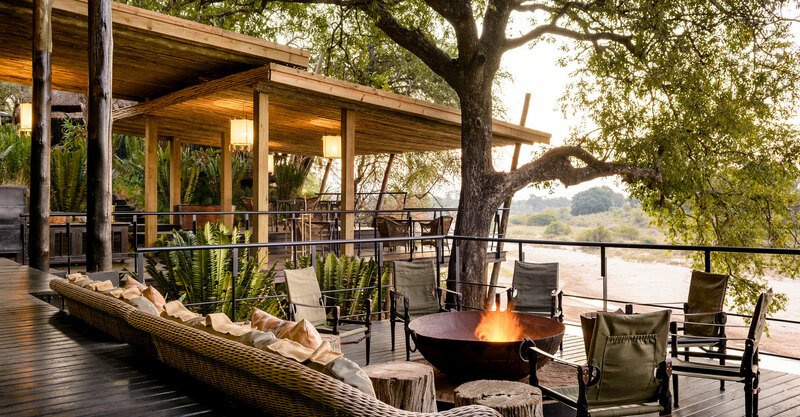 Across the country in and around the renowned Kruger National Park, South Africa’s four incredible Singita lodges (Ebony and Boulders at Sabi Sand, and Lebombo and Sweni within Kruger) work with the company’s Singita Community Development Trust on numerous charitable projects. One of these, the Growing to READ initiative, targets support for early childhood development (or ECD) in local communities. Rather than providing education directly to children, Growing to READ helps local teachers, school administrators and parents to be better equipped to educate their students, which last year numbered around 2,000. Launched in 2007, the program is executed by the broader South African NGO the READ Educational Trust. In all, 20 ECD schools receive support, located in Justicia, Lilydale and Mabharule on the outskirts of the Sabi Sand reserve, and in the Welverdiend and Hluvukani villages on the edge of the Kruger National Park.